Waterford Archaeological & Historical Society: Proposed Demolition of the former R & H Hall Grain Store, Dock Road, Ferrybank, Waterford. Proposed Demolition of the former R & H Hall Grain Store, Dock Road, Ferrybank, Waterford. RE. Proposed Demolition of the former R & H Hall Grain Store, Dock Road, Ferrybank, Waterford. As a Waterford person, I am delighted at the prospect of the development of the North Quays. As somebody who worked on the R & H Hall\Waterford Flour Mills site for twenty years, and as a member of Waterford Archaeological and Historical Society, I was delighted to see, that part of the North Quays Master Plan was the preservation of the Hennebique Warehouse. The floor to ceiling height has been cited as a disadvantage, again, I disagree. 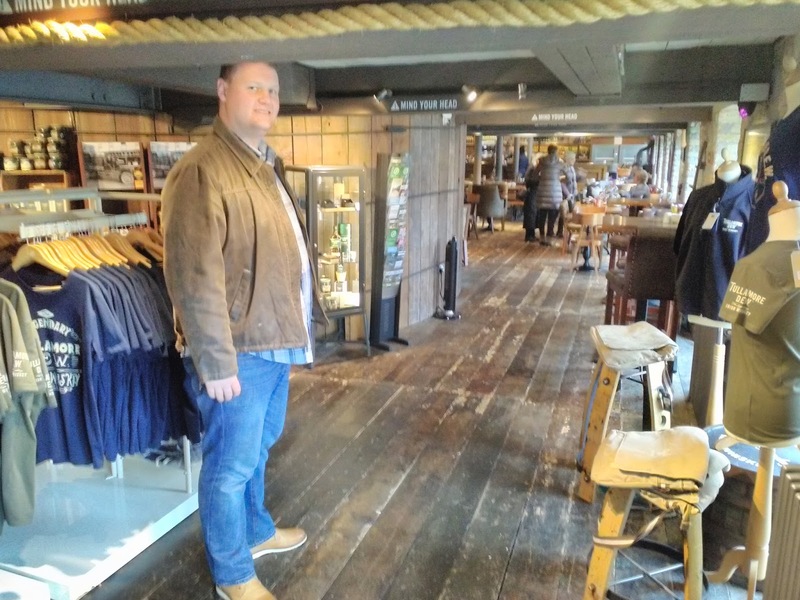 The floor to ceiling height is 2650mm, except the top floor, where it is 3800mm! On a recent visit to Tullamore in County Offaly, I paid a visit to the Tullamore DEW experience, where the old Bond Store is now a very attractive and successful visitor centre, the floor to ceiling height in the reception area and gift shop is 2000mm (See attached photograph). In 1998 extensive renovations were carried out on the late 19th Century Granary building on the corner of Merchants Quay and Hanover Street. I worked in this building in the 1970s when it was used as a grain store by R & H Hall. The original entrances to the building from the Quay and Hanover Street were widened and raised to accommodate modern transport. With large timber sliding doors, RSJ heads and concreate surrounds, the entrances were functional but made the building look so ugly. Eventually the building ceased to be used as a grain store and by 1998 was derelict. The 1998 renovations included reversing the damage done to the entrances and restoring the tooled limestone doorcases and restoring all the surrounding stonework, this restoration work alone took time and considerable resources. Since its restoration the building has housed Waterford Museum of Treasures and Tourist Office. Today the warehouse is home to the School of Architecture of Waterford Institute of Technology and remains an important landmark in the centre of the City and is an attractive addition to the streetscape of Merchants Quay – what a loss it would have been had this building been demolished! A person or thing regarded as a representative symbol or as worthy of veneration. Whilst the Hennebique Warehouse may not be worthy of veneration, it is most definitely a representative symbol of the history and heritage of this site. Not only is it listed in the National Inventory of Architectural Heritage as a building of National importance, it was part of the fabric of a once thriving site which gave employment to people from Ferrybank, the City and surrounding areas, in some cases, to 2 and sometimes 3 generations of the one family and it contributed to the social and economic life of the city for over 100 years.